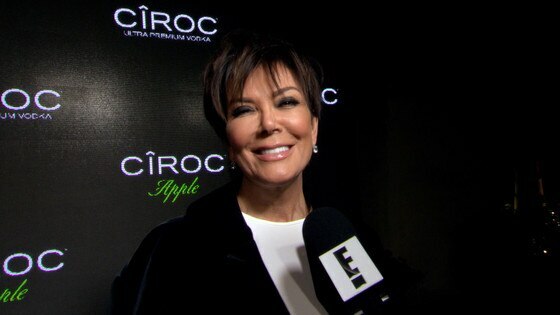 Kris Jenner Gives an Update on Khloe Kardashian's Staph Infection: "She's Getting Better Day by Day"
Just days after Khloe Kardashian revealed she unexpectedly canceled a book signing to receive medical treatment for a staph infection, her mom Kris Jenner is offering E! News a health status report. "She's been a little under the weather," Jenner told E! News. "She's getting better day by day." With just a couple of days left before Thanksgiving, Jenner is concerned about her daughter achieving a full recovery prior to the big family holiday. "I'm not a doctor, but she hasn't been feeling well, so were hoping that she gets better in the next few days before Thanksgiving since she's cooking Thanksgiving," she revealed to E!. "She's supposed to, so we'll see—with a little help from the fam." So, who will step up to the plate if Kardashian needs a few extra days of recovery in bed? "It's supposed to be at Khloe's house, so well see. If not, you know me—I'm next in line," Jenner joked. Kardashian initially revealed to fans that she was in the midst of her own medical dilemma on Twitter, explaining why she had canceled the event for her new book, Strong Looks Better Naked. "Staph infection is no joke. Mine was exacerbated by stress which is not a great combo," she wrote on her social media account. "I'm under great medical care & receiving tons of love!" It's no question the blond beauty has experience a great deal of stress over the last two months after making all medical decision on behalf of Lamar Odom since he was found unconscious and admitted to the hospital. "It's a horrible call to get," she told NBC News' Natalie Morales. "Getting to the hospital and knowing he's in a coma and having to run these tests or make medical decisions. It's terrifying." Hang in there, Khlo! We're wishing you a speedy recovery.